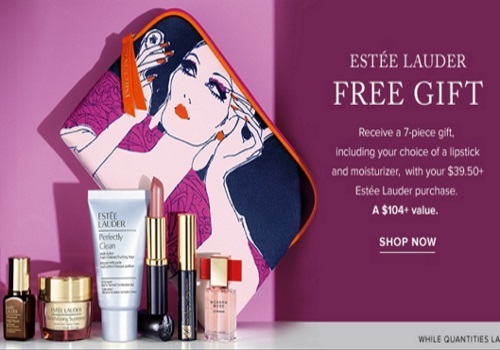 It's Estee Lauder gift with purchase time at Hudson's Bay! When you spend $39.50 or more you can get a 7-piece gift free including your choice of lipstick and moisturizer! This gift is a $104 value, available while quantities last. Also if you spend $75 or more you can add a Pure Colour Eyshadow Compact in addition.